LEARN WORLD CLASS JIU-JITSU AND SELF-DEFENSE IN ANN ARBOR! ​TAUGHT BY THE RIBEIRO JIU-JITSU BLACK BELT KRIS MAGERS. Contact us for more info & Get OUR web special Offer! 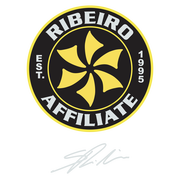 An Official Ribeiro Jiu Jitsu Affiliated Academy, URSA Academy is Ann Arbor’s Best Choice for for Martial Arts training in a Fun, Safe, Clean, & Professional Environment. We specialize in Beginner friendly Self-Defense based Jiu Jitsu for Adults through Intermediate & Advanced Jiu Jitsu instruction suitable for the most seasoned competitors, as well as "Bully Breakthrough" Self Defense & Sport Jiu Jitsu for Kids. ​Our curriculum is designed & written by Black Belt Kris Magers & former professional educator Amy Magers. Come visit us in ANN ARBOR - Michigan!